I went to make a casserole today, but couldn’t decide what kind! 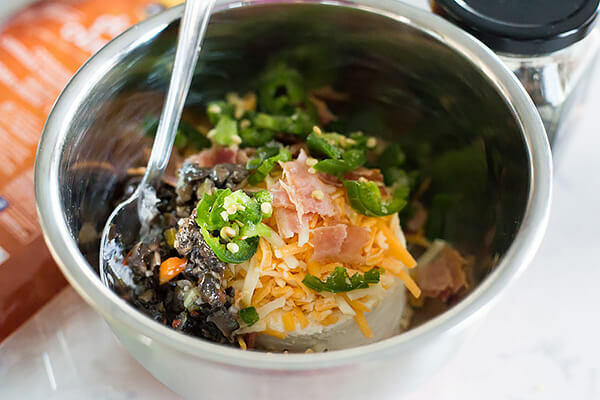 I had all these ingredients, but nothing specific in mind…jalapeno popper casserole? Mushroom casserole? Instead, I decided to combine ALL the tasty ingredients into one. 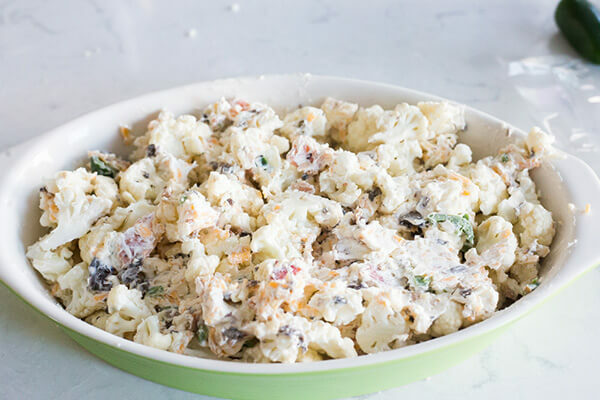 This loaded cauliflower casserole is easy to make with minimal prep time and takes only an hour to cook. To reduce prep time, you can buy pre-cut mushrooms and jalapenos from the grocery store. Make sure chicken is thoroughly cooked before serving! 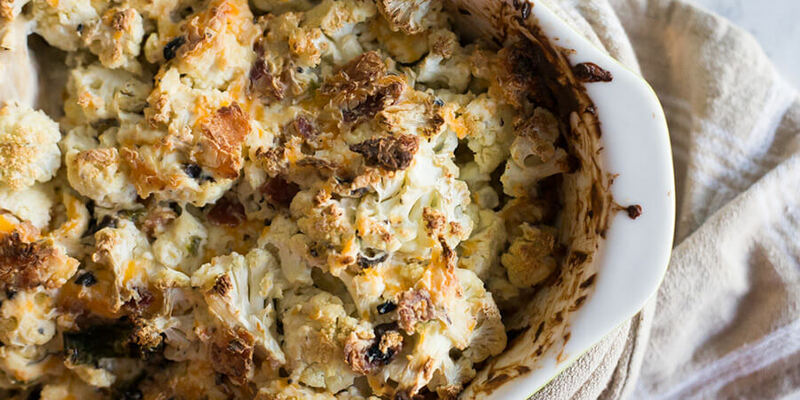 Loaded Cauliflower Casserole is great for wintertime keto dinners and weekly food prep. 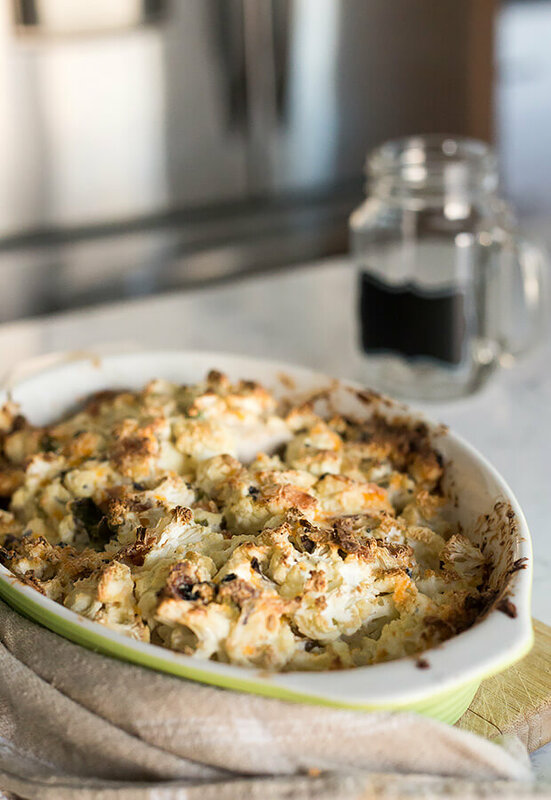 The Shepherd’s Pie fans in your life will love this, and the chopped jalapeno gives it a warm kick. 1. Pre-heat oven to 350 degrees. 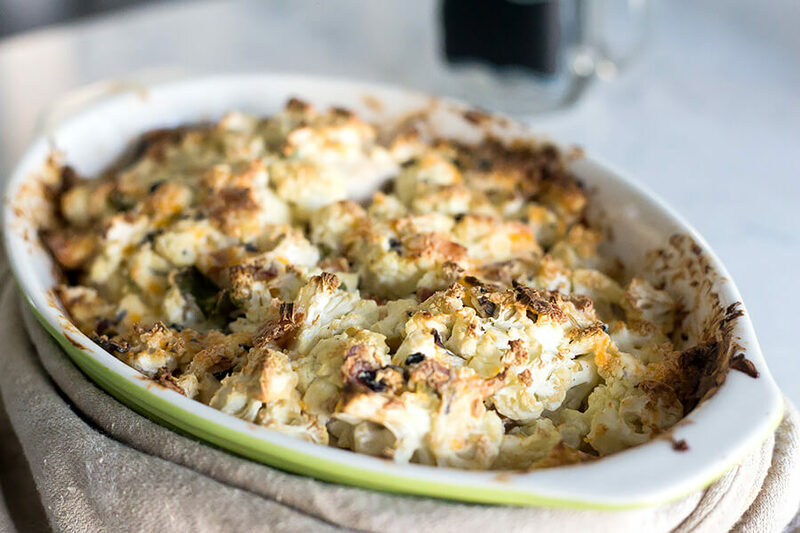 Chop cauliflower into florets and place it in a casserole dish. 2. 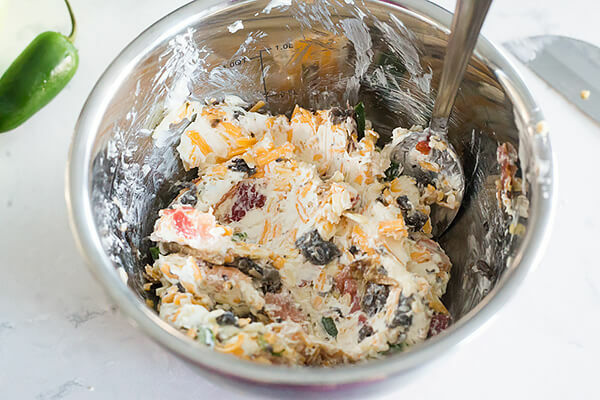 In a separate dish, mix cream cheese together with shredded cheddar cheese and chopped jalapeno, mushrooms, and bacon. 3. 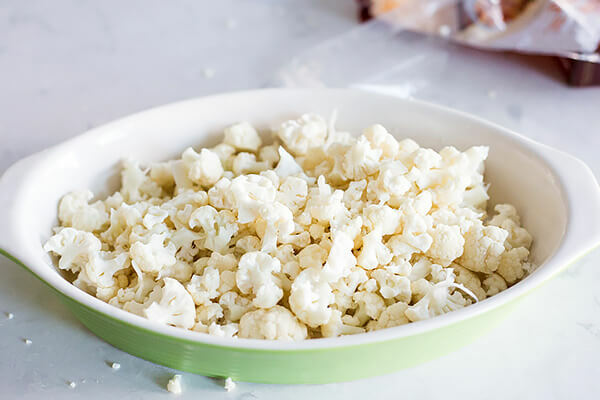 Spoon the cheese mixture onto the cauliflower and mix well. 4. Coat baking pan with a layer of non-stick spray. Layer the cauliflower mixture and chicken thighs into the baking pan. 5. Bake for 1 hour or until the cheese has melted, the chicken is cooked, and the top of the casserole is nicely browned. This makes a total of 4 servings of Loaded Cauliflower Casserole. Each serving comes out to be 537.53 Calories, 42.73g Fats, 8.21g Net Carbs, and 31.12g Protein. Pre-heat oven to 350 degrees. Chop cauliflower into florets and place it in a casserole dish. In a separate dish, mix cream cheese together with shredded cheddar cheese and chopped jalapeno, mushrooms, and bacon. Spoon the cheese mixture onto the cauliflower and mix well. Coat baking pan with a layer of non-stick spray. Layer the cauliflower mixture and chicken thighs into the baking pan.